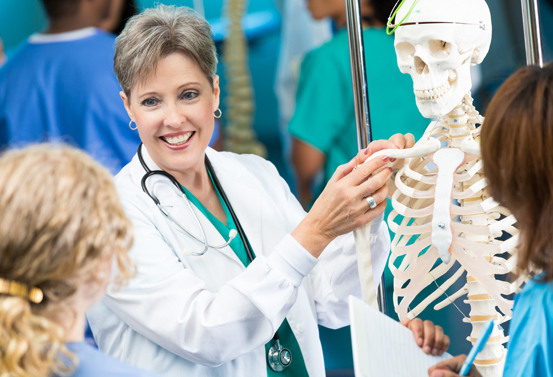 The Master of Science in Nursing Education program prepares licensed, registered nurses who have completed baccalaureate nursing studies, and at least one year of clinical experience or are currently practicing as an RN, for a successful career as a nurse educator in a clinic, hospital, or college/university setting. Selected courses use a combination of teaching methodologies such as online learning and preceptored clinical experiences. Salary information is being provided for general information only. Trinity makes no representations regarding specific starting salaries that prospective and current students may obtain post-graduation.